New business cards are here! 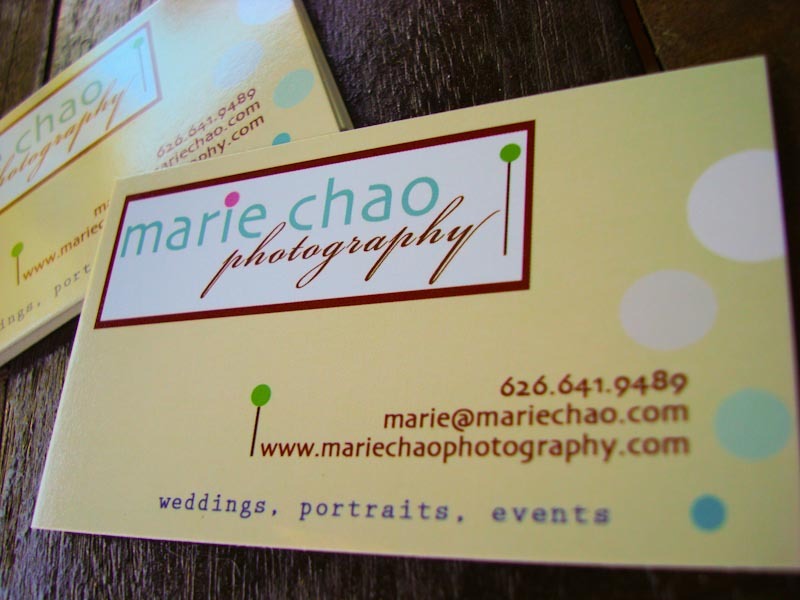 These are the new business cards for Marie Chao Photography, which arrived just in time for next week’s wedding photo shoot of Rebecca and Johnny! I’m thinking about passing out these cards along with some lollipops to go along with whole theme, which also match my new website (http://mariechaophotography.com)… what do you think?